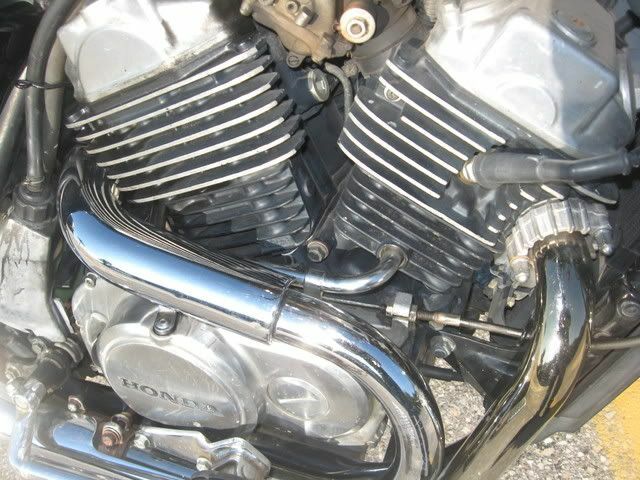 Okay I have been reading a lot about about how Honda's tend to get leaks at the cross over tubes between the front and back cylinder heads. 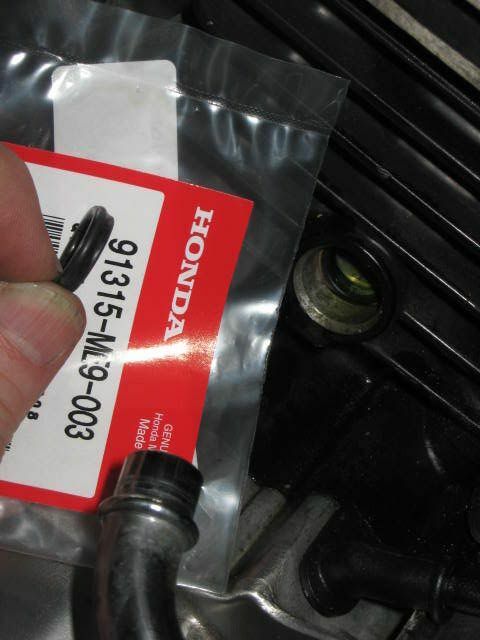 When I talked tohonda the quoted me $75 bucks to fix it. Well my 1998 Honda VT1100C3 Aero had this problem so I thought that I would do a little tech so that others can do it on there own and save some money. 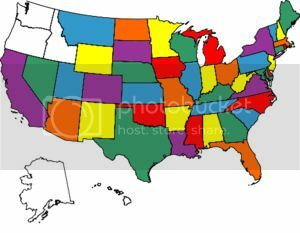 This will take about an hour to do. First step determine where your leak is coming from. My leak came from front cylinder head at the tube. Its hard to see in the pictures but there are two clips that hold the tube in place remove those clips. I used a pair of long needle nose pliers. After removing the clips twist the tube untill you can see the o rings that need to be replaced. Here are the replacement parts. 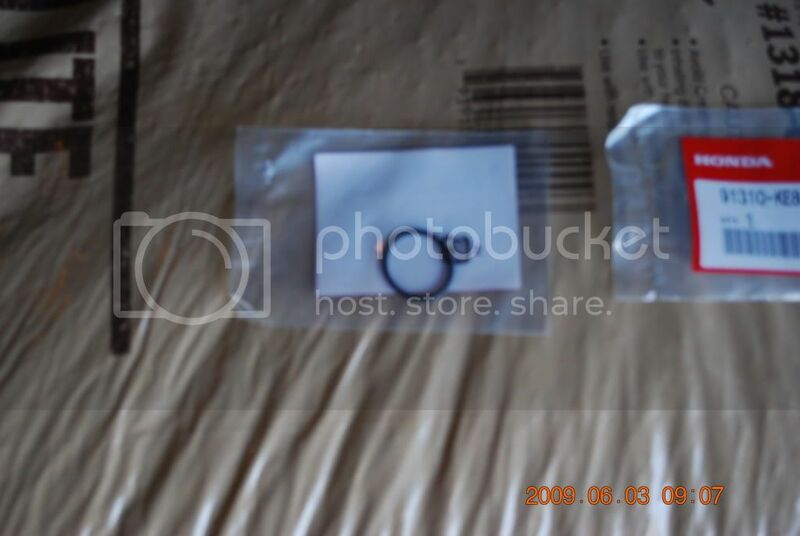 These o rings cost about $1.80 a piece you will need 2. This is easier with the help of a friend. Have your friend on one side of the bike while you are on the other. With a pair of long needle nose pliers have your friend reach through the cylinder heads and grab ahold of the dental floss. Now it is just as simple as streaching the o ring just a little bit. (to much and it will break) and getting onto the tube. After replacing the o ring with a twisting pushing motion move the tube over untill you can see the other o ring and repeat the steps. Once you have replaced both o rings move the tube back and replace the retaining clips. 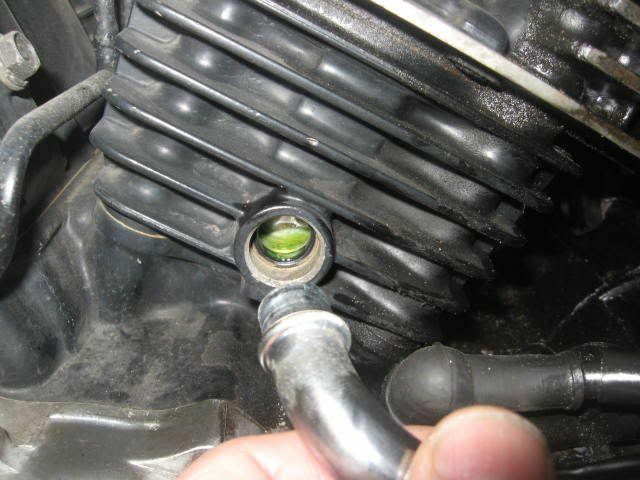 Once you have put the bike back togather replace coolant with motorcycle coolant. 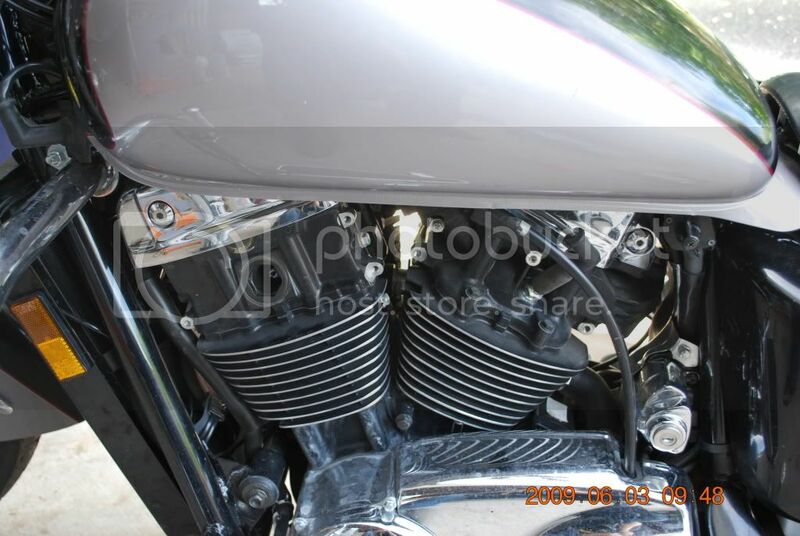 Ride around for a little bit and then let bike cool check coolant level again. 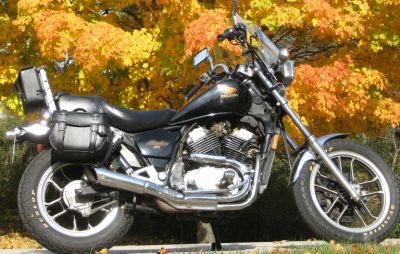 For us unfortunite guys that have older bikes: The VT500 has similar (same?) 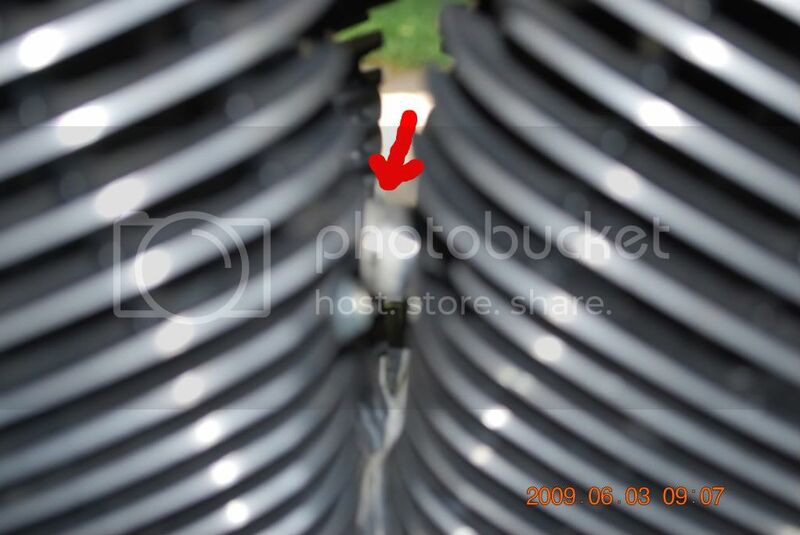 seals on the coolant tubes, although are on the side and base of cyclinders; one on front cyclinder and one on other side on rear cyclinder. I dont know if are prone to leaking on VT500C, mine were not leaking, and have not. I just changed them out since had to remove these tubes to replace the starter. If you had need to replace these seals on a VT500C, the hard part will not be so much removing or putting the seal in place. BUt more that will have to remove the rear exhaust pipe in order to pull out the front coolant tube (yes, the rear exhasut pipe in way of front coolant tube). The coolant tube on the rear cyclinder not so difficult after removing the cover by the shifter. Oh, The other trick is to know that that these tubes just pull out, no retaining fastener or anything in there with the seal. 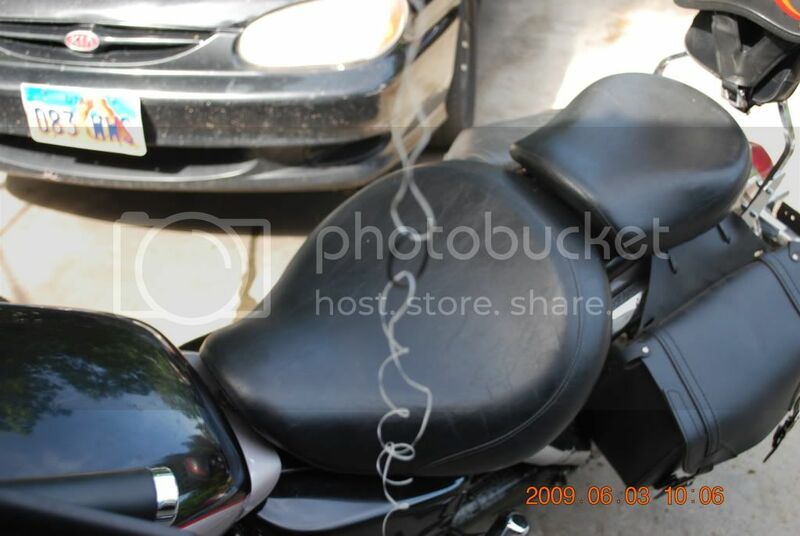 Pictures here are of 86 VT500C. Pic 1. See tube on lower part of front cyclinder. It needs to pull straight out, but exhaust pipe is in the way. I had to remove exhaust system anyway for other work, so dont really know if can get the tube out with the pipe still there, but sure doesn't look like you could. Pic 2. 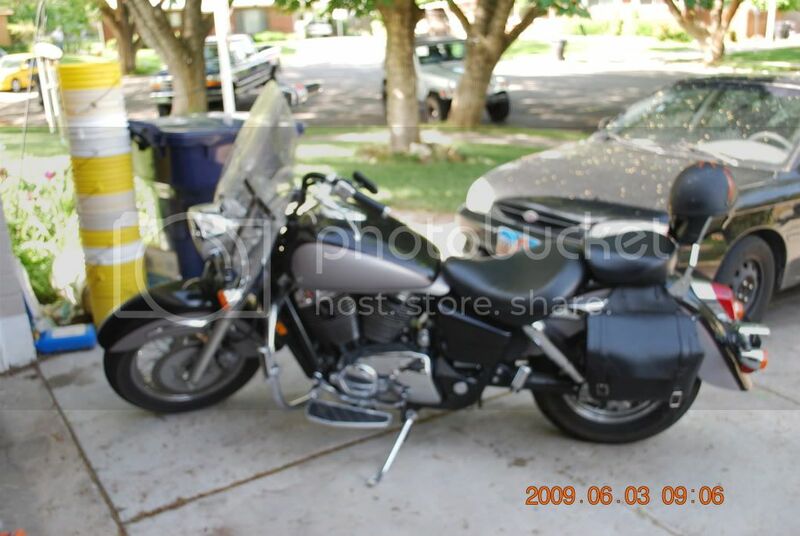 Showing the rear cyclinder. Tube pulled out, seal still in cyclinder. Picture shows what the end of the tube looks like. Pic 3. Showing a new seal. Can see that is not an ordinary oring, has a particular shape to it, that matches the area it mates to. Be carefull to see how the orignal one came out, so put new one in properly. I bought my 0-rings at the local hardware store for 29 cents a piece. 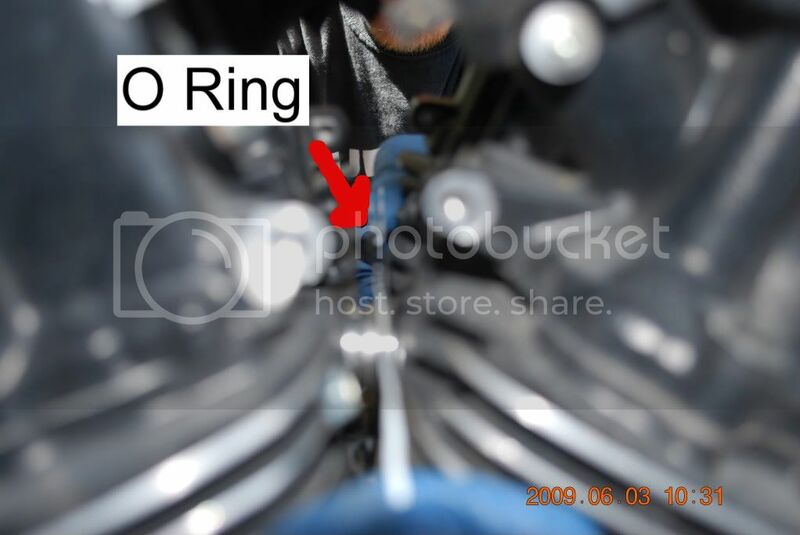 Hey Guys, I did this fix a couple of weeks ago on my 1998 VT1100C3 Aero and it worked awesome (Thanks again oldschool), except I forced the second one in to hard and ripped the gasket. When I replaced it the second time I used a little bearing grease rubbed on the gasket (instead of WD-40)and wiggled it a little more and it slid right in. Lesson learned- don't force it, it should slide in relatively easily. No problems since. I finally did my cross over tube o-ring fix today. I didn't remove the gas tank, I just took the front bolt out and loosened the back bolt and then propped a 2X4 under the front of it to get to the neck cover and radiator cap. I then took the cooling fins off of the left side and pulled the keeper clips. I had to run into town to get the anti freeze so I also picked up a pair of 11" needle nose plyers while I was there. That really helped getting to it. Getting the back o-ring off was a pain but the front one came right off. I did the dental floss trick and it worked great. I flushed the system, poured in the new antifreeze, put it all back together and went for a short ride. So far so good as I do not see any fluid leaking yet. I hope this fixes it.